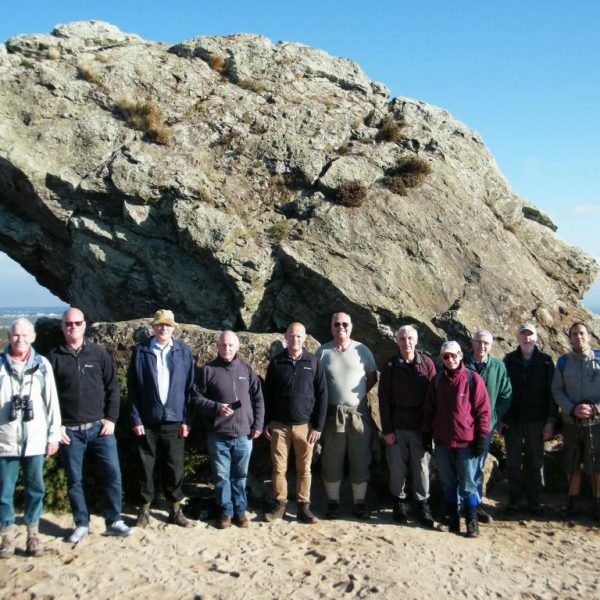 On a dry, cloudy and suprisingly mild January day our diverse group of members from all corners of Dorset and beyond assembled in Wareham Forest for a 6 mile stroll on firm paths with plenty of shelter from the wind. Having crossed the heath of Great Ovens Hill we descended into Morden Bog (now a wetland nature reserve with firm banked footpaths from which one must never stray!) We circumvented the bog passing through various experimental plantations and extreme swamp training areas to emerge in the woods of Morden Park for a picnic. A stroll through attractive deciduous woodland along the Sherford River brought us to Sherford Bridge and the entrance to Lawson Clump ( a pretty wood beloved of local dog walkers) for a leisurely return followed by an enjoyable pint at the local pub.